Thomas Heatherwick is having a bad year, it seems. In January, London Mayor Sadiq Khan canceled orders on the Heatherwick-designed double-decker London bus due to costs; in March, Pier 55—a 2.75-acre garden over New York’s Hudson River—designed by Heatherwick was thwarted by a federal court ruling; and now, another watery mishap has occurred as his London Garden Bridge project has been scrapped by Khan. Much like Pier 55, the Garden Bridge has been shrouded in controversy for some time. The foray into green-fingered egoism began in May 2012 when British actress Joanna Lumley wrote to the then London Mayor, Boris Johnson of the Conservative Party, asking him to back a “beautiful and practical” bridge which had been conceived by Thomas Heatherwick, herself, and Arup engineers. Lumley closed the letter to Johnson by thanking him for “the tulips and the Forth Plinth photographs.” Previously, she had pitched the idea to former mayor Ken Livingstone (Labour Party) in the 1990s as a memorial to Princess Diana. Livingstone declined. Come September 2012, however, Lumley had got her wish. 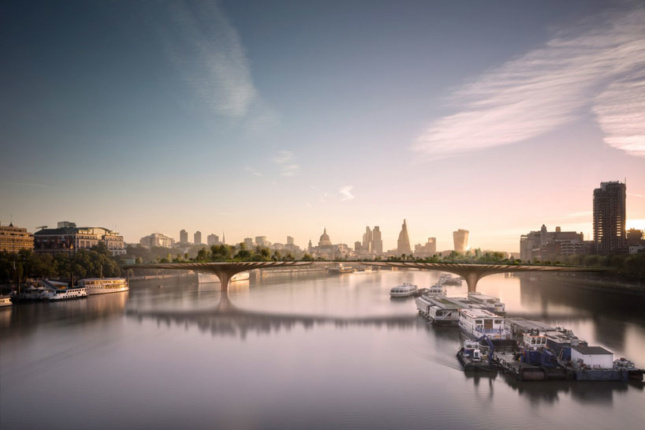 She had met with deputy mayors for planning and transport, Edward Lister and Isabel Dedring, as well as Johnson and Heatherwick to discuss the bridge. 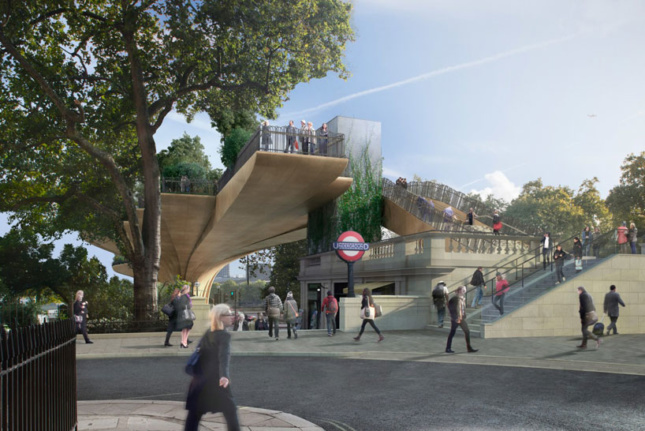 In “early 2013,” Johnson met Transport for London (TfL) Richard de Cani and asked if an “innovative and novel design based around a living bridge concept would be feasible.” TfL agreed. On February 1, 2013, Heatherwick and Lumley presented their Garden Bridge to Johnson, Dedring, and Lister. Three days later, all bar Lumley coalesced in San Francisco, bidding to Apple asking them to sponsor the bridge. On February 13, TfL formally reached out to British firms Heatherwick Studio, Wilkinson Eyre, and Marks Barfield inviting them to submit ideas. Less than a month later, on March 8, Heatherwick Studio was awarded the contract for the Garden Bridge. By July, Arup had been appointed to the technical design role after a small competition. The contract was worth $11 million. “It will set hearts racing and calm troubled minds,” said Lumley. “It will enchant everyone who uses it.” Her words proved powerful among the Conservative Party peerage: Chancellor George Osborne pledged $39 million to the scheme as part of the government’s “National Infrastructure Plan,” in December 2013 and in November the next year, Lambeth Council and Westminster granted the bridge planning permission with the mayor following suit in December. By this date, however, the term “infrastructure” was seemingly open to interpretation as it emerged that the bridge wouldn’t be accessible to cyclists or groups of eight or more. Nor would it be open at night and nor could it be used as a venue for protests. Funding was becoming a touchy subject at this point. “The maintenance cost will not be borne by the public sector, I’ve made that clear,” Johnson told a London radio station in mid-2015. In a confidential letter obtained by The Guardian, however, it was discovered that taxpayers would have to fund the yearly $4.5 million running costs of the bridge if its own charity (The Garden Bridge Trust) failed to cough up. The meager business plan reportedly relied on corporate membership, temporary catering, and souvenir stalls. The dodgy procurement of tender too had not gone unnoticed. A U.K. publication, the Architects’ Journal, uncovered the controversial process which resulted in an internal inquiry by TfL, that surprisingly, found no wrongdoing. RIBA president Jane Duncan also called for the project to be scrapped in February 2016, though she was dismissed by Johnson. Later that year, though, Johnson’s London reign was up. Labour candidate Sadiq Khan succeeded him and he commissioned fellow MP Margaret Hodge to conduct a review of the Garden Bridge’s viability. Her report concluded with advice that the Garden Bridge be stopped was published this year. Today, Khan halted any more public funds going into the project. 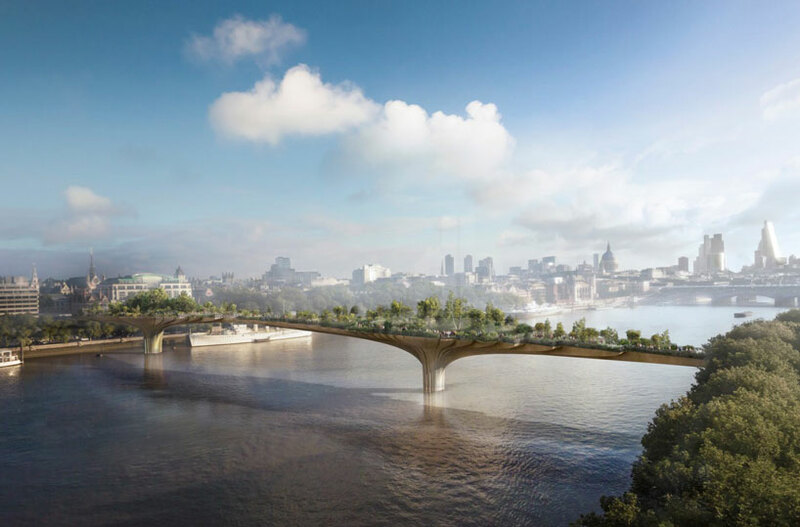 “I will not be providing Mayoral guarantees for the Garden Bridge Project,” the mayor wrote in a letter to the Chair of the Garden Bridge Trust. The decision effectively stops the bridge in its tracks. To add more controversy to the mix, both Dedring and de Cani—a pair who played a major role the project’s and Arup’s commission—now have senior roles at the engineering firm. Despite de Cani admitting that he judged the bids on his own, TfL and the department for transport, according to The Guardian, both deny any conflict of interest. In addition to this, Hodge’s report raised eyebrows at other conflicts of interest, namely that of the Garden Bridge’s board of trustees. The project promised a five percent increase in nearby property value and a 30 percent increase for retail outlets. Trustee Alistair Subba Row is also a member of the Northbank Freeholders’ Group; the North Bank area lies adjacent to the bridge’s proposed site and would benefit considerably from the connectivity the bridge would bring. Eleven other trustees also have skeptical interests besides the bridge itself. Ultimately, though, there will be no financial gain for any trustees. The only result of Boris’ bridge too far is a $48 million hole in the public’s pocket. 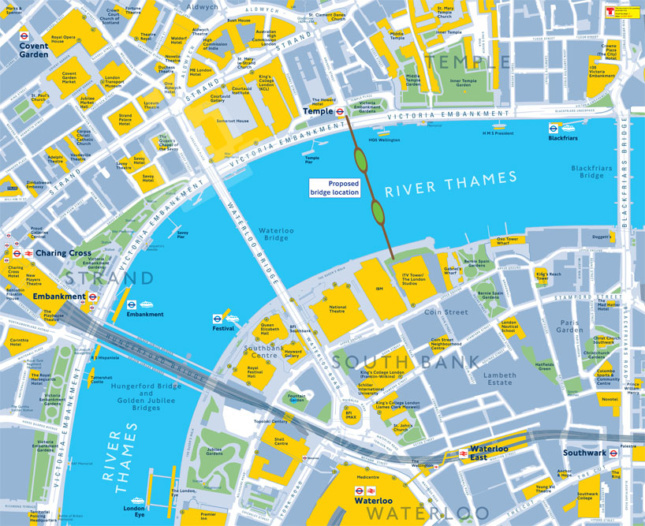 All dates mentioned are as per the Architects’ Journal and Transport for London. Joanna Lumley’s 2012 letter to Mayor Johnson was procured by that publication after it filed a freedom of information request.